The project is an EVS initiative coordinated by the Czech organization KURO, with MVNGO in the role of a sending and hosting organization. 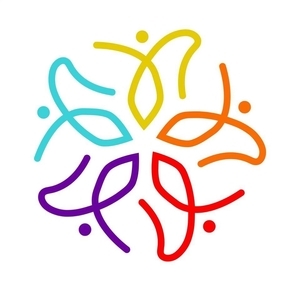 The main aim of the project is to support intercultural dialogue, social and civic competences and the European dimension of active citizenship through intercultural exchange and international volunteering. 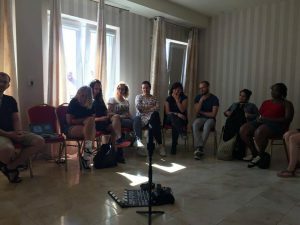 – Support educational initiatives grounded on the sharing between different cultural and artistic sensibilities between the local and the migrant communities involved. – Support the staff of partner organizations (hosting and sending) in organizing and implementing a Final Event aimed at showcasing final products of the artistic kind as well as typical products. 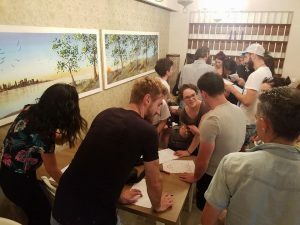 – Organize an art exhibition aimed at sharing participants’ pictures as well as the storytelling products produced by them. -Provide young people young people and local communities a positive example of activism, European citizenship and exchange among different cultural identities. – Mobility of 2 Italian volunteers in the Czech Republic, with a view to taking part to a SVE experience in the premises of the applicant KURO (April 2019- January 2020). 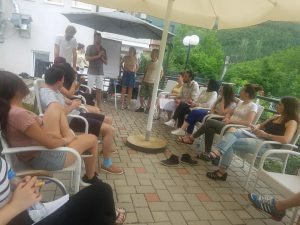 – Mobility of 2 volunteers from the Czech Republic to Italy, in order to take part in an experience of EVS in the premises of Mine Vaganti NGO (May 2019- Feb 2020). 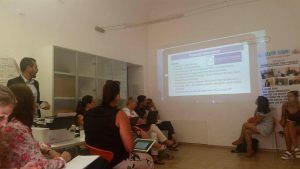 The project is coordinated by the Italian educational institution “Liceo Scientifico Statale Carlo Jucci”, with MVNGO in the role of coordinator of students’ mobilities. By means of offering students the opportunity of attending international internships in line with their educational curricula, the project aims at enhancing the development of language skills, transversal skills and specialized competences connected with the realm of tourism. The project offers 3th and 4th year students attending local high schools in the area of Rieti the opportunity of taking part in international internships in a series of Irish enterprises operating in the field of sustainable tourism. Enhancing motivation to learn in students by means of promoting international mobility. Developing competences of concrete employability within the field of Tourism with a focus on nature, culture and education. Improving language and cultural knowledge in students, thereby fostering their employability. Drawing a connection between education and the labour market. Creating a network of contacts and favouring the recognition of competences acquired in extra-curricular activities. “Let’s Take Sport Out of Youth” (LTSOY) is an initiative of organizational development enabling the applicant organization Champions Factory to employ the educational potential of Sport to the promotion of upskilling and entrepreneurial development of disadvantaged Adult categories (low-qualified Adults from disadvantaged rural areas and urban suburbs, migrants) as an instrument of empowerment, employability (also in terms of entrepreneurial engagement) as well as social inclusion. 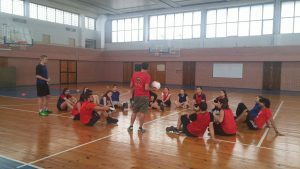 The applicant organization has achieved substantial results in the use of Sport as an educational tool for the empowerment of young people (also disadvantaged categories of NEETs and migrants) and intends to expand the variety and audience of its offer, at the local and European levels, in the Adult field. The project is inspired by an assessment of the development needs of the organization for the above identified purpose as well as tailored to answering the challenges highlighted by a specific context analysis. Eurostat (2017) quantifies in 18,243 million the number of unemployed in the EU-28 total population as of October 2017, making up the 8,8% of the workforce. Females are more affected than men by the unemployment trends, with an average unemployment rate of 10% as compared with 8% for male workers. Low-qualified Adults are particularly vulnerable to dynamics of long-term unemployment in the EU-28, with 53,6% of Adults in the lowest tiers of educational attainment (up to lower secondary education) unemployed in the EU-28. Eurostat findings show a substantial portion of the EU-28 population belonging to the low tier of educational attainment (20%). First-generation immigrants to Europe are paticularly affected by dynamics of long-term unemployment and social exclusion due to a low level of qualifications compounded by cultural/language barriers. The EC’s ”Communication on Developing the European Dimension in Sport” (2011) highlights the substantial contribution of Sport “to growth and jobs, with value added and employment effects exceeding average growth rates”, therefore endowing Sport with a specific relevance for the achievement of the objectives set forth in the EU 2020 strategy. Sport represents an educational avenues for the development of positive attitudes and skills (soft and transversal) useful in the contet of employability as well as forming part of an entrepreneurially-oriented mindset (cooperation, leadership, planning, flexibility, risk-taking, fair play). At the same time, in its quality of universal language crossing social and cultural divide, the educational use of Sport is particularly suited to overcoming the educational constraints affecting disadvantaged categories as well as to bringing positive messages across cultural barriers and belongings. The appreciation of the positive relationship between Sport and the development of the employability/entrepreneurial potential of young people at the level of EU policies and of the European NGO sector points to the need of compounding the educational dimension of Sport through exploring actions and strategies for its most profitable adaptation to the context and target specific challenges of the Adult field. 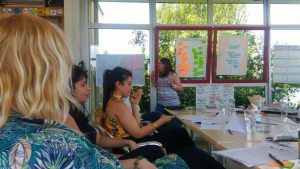 Through the present project, Champions Factory aims at laying the grounds for being actively involved in delivering on this needed approach in the local and European dimensions. 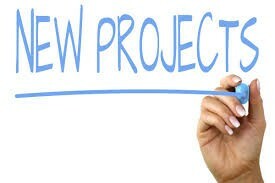 – Increasing organizational capacities in the design and management of project proposals in the Erasmus Plus Adult field, with a particular focus on the use of Sport as a tool of upskilling and entrepreneurial development of disadvantaged Adult targets. – Acquiring methodologies and professionalism in the use of Sport, in combination with Non Formal Education (NFE) methodologies as an instrument of education fostering the social inclusion, employability and entrepreneurial attitudes/skills of disadvantaged Adult targets. – Enhancing the range of targets and educational offer of the organization through regular activities, at the local and European levels, connecting the educational potential of Sport with the specific learning needs and constraints of disadvantaged Adult targets. – Fostering the European dimension of the organization by developing long-term partnership arrangements and regular exchange of knowledge/good practices with established European NGOs working in the Adult field. – Developing specific Erasmus Plus project initiatives in the Adult field focused on the educational use of Sport as a tool of social inclusion, employability and entrepreneurial development of disadvantaged Adult categories. The proponent organization Rijeka Sport’s Association is an NGO working at the local and European levels in the field of grassroots Sport and Sport for all, with an offer of Sport activities extended across the spectrum of the different age-bands (from children to Adults). The organization, long established at the local level with an high level of quality and substantial number of activities implemented, is presently in the process of internationalizing the scope of its activities at the European level, with a priority focus on the Erasmus Plus programme. At this regard, the applicant has gained substantial achievements with the approval of an Erasmus Plus Collaborative Partnership in the field of Sport in 2016, followed by the successful application of 2 Collaborative Partnerships Sport (a Collaborative Partnership and a Small Collaborative Partnership) in the year 2017. 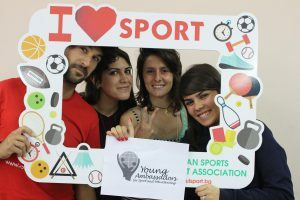 Ground-breaking achievements in the field of the educational us of Sport were registered with the approval of the Erasmus Plus Capacity Building Youth “A Path To TransportAction” (APTSA)- focused on employing Sport as an educational instrument of female inclusion in disadvantaged rural communities- and of the Erasmus Plus KA1 Youth “Sport Education Triggering Entrepreneurial Action” (SETEA), focused on the use of Sport as a tool of entrepreneurial empowerment of disadvantaged young people. Both projects were successfuly applied in 2017. The successful application of APTSA and SETEA allowed the applicant organization to explore the field of Sport beyond the sphere immediately related to physical activities and healthy lifestile promotion, approaching the educational dimension of Sport practice as an avenue for fostering the acquisition of positive attitudes, soft and transversal skills useful for social inclusion of disadvantaged targets (in the specific cases, rural females and young people with fewer opportunities). 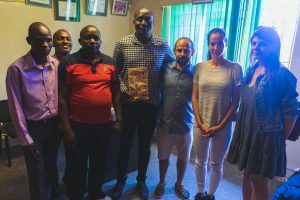 Said dimension represents one of the core explications of the Education Through Sport (ETS) methodology, connecting Non Formal Education (NFE) and Sport practice for the achievement of socially appreciable goals of social inclusion and empowerment by means of education. In this process, the cooperation established with the Italian partner MVNGO, which contributed to the development of both projects through its expertise in the field of ETS, and the ensuing exchange of knowledge and ideas, were crucial in ushering in a process of internal reflection wherein the applicant appreciated the groundbreaking potential of an integration between its activities in the field of Sport practice and the educational orientation ensured by ETS methods. As an organization addressing a wide audience of targets across the different age-bands, the applicant is in an optimal position to cater to the educational and social inclusion needs of the Adult age-band in its area of operation, as well as to bring about a positive impact on the wider scenario of educational offer and project design efforts in the Erasmus Plus Adult field. 1- The lack of internal staff professionalism in the field of the educational use of Sport (ETS methodology), specifically in the field of Adult learning. 2- Lacking internal capacities in employing ETS as an instrument of entrepreneurial education for the Adult target . 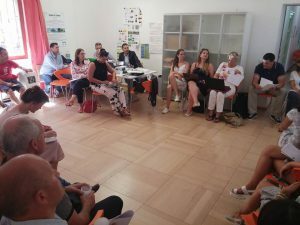 3- Insufficient networking capacities and thematic partnerships in the sector, with a particular focus on European NGO experienced in the field of Adult education and ETS, hampering the internationalization of the organization’s activities and educational offer. 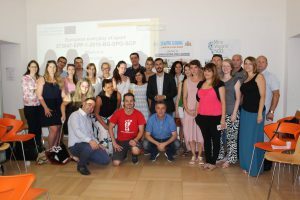 Based on the findings of internal reflection and assessment, the applicant decided to invest a specific effort in developing the competences of staff (Trainers, Project Managers and Staff Members) as well as establishing joint proposals and long-term mechanisms of coordination with NGOs from other European countries. – Knowledge, skills and competences in the use of ETS as an avenue for the empowerment of disadvantaged targets in the Adult field. – Knowledge, skills and competences in employing ETS as an instrument of entrepreneurial education in the Adult field. 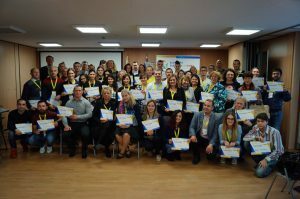 – Knowledge, skills and competences in networking at the European level, with a main view to the establishment of long-term partnerships with likeminded NGOs in the Adult education field. 1- Mobility of 5 Trainers forming part of the regular staff of the applicant to Bulgaria (Sofia), in order to attend a Training Course on the use of Education Through Sport methods in the Adult field hosted by the partner organization Champions Factory. 2- Mobility of 5 Trainers from the applicant’s regular staff to Italy (Sassari), to attend a Training Course on the use of ETS for the development of entrepreneurial skills and competences in Adult learners hosted by the partner organization Mine Vaganti NGO. 3- Mobility of 2 staff members with directional responsibility to Italy (Sassari) for a Job Shadowing in the premises of the partner organization Mine Vaganti NGO. The Job Shadowing will concern with exchanging knowledge and good practices in ETS and Adult education as well as developing long-term partnerships and joint initiatives in the Erasmus Plus Adult field. 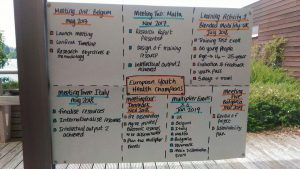 “European Youth Health Champions” is a Strategic Partnership project for the development of Innovation coordinated by the British organization Street Games with the cooperation of a partnership composed of organizations from Italy, Belgium, United Kingdom, Bulgaria, Malta and Denmark. The project purports itself to promote the use of Sport as a medium of social inclusion and healthy lifestyle education of disadvantaged categories of young people by means of producing innovative educational resources grounded on the combination between Sport and Non Formal Education. 1- Research on the existing good practices of Peer Education in the fields of Sport and Health. The research will be aimed at individuating and sharing case studies, to be later analysed and comprised in a specific multilingual Final Report. 2- Production of an educational Manual targeted at an audience of youngsters and Youth operators. The Manual’s creation will be based on the results achieved in the frame of point 1. 3- Creation of an online Training Portal in English targeted at an audience of learners in partner countries and in the wider European area. The portal will host an interactive version of the training path comprised in point 2 and will integrate all the materials produced in the context of the project. YouthWork360 is an innovative strategic project that will provide educational tools for youth workers in Virtual Reality technology. 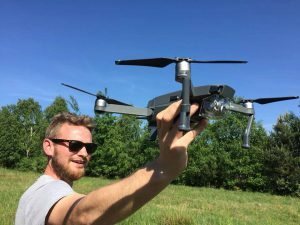 The aim of the project is to develop, use and disseminate five innovative educational tools for youth workers and to inform about the opportunities offered through international youth mobilities and non-formal learning through the production of VR video content. – To support the acquisition of appropriate skills and competences at a high level for beginner youth workers by providing them with new learning tools and to young people who, through modern tools, will participate in international mobility within the Erasmus + program by preparing and recording 15 Virtual Reality (VR) technology video manuals. 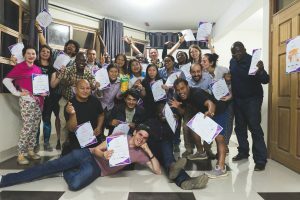 – Promote quality youth work through exchanges of experience between partner organizations and youth workers related to them, and create a catalog of the 15 most interesting and effective workshop tools that allow people with disabilities or those with fewer opportunities to be included. – Carry out extensive promotion of tools developed within the project, including international education fairs. – Mobile application for smartphone with direct access to VR material produced within the project. 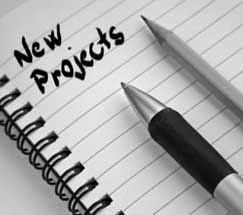 The project will have three international project meetings and three youth workers mobility. The project will achieve high visibility, among others by participating in international educational fairs. 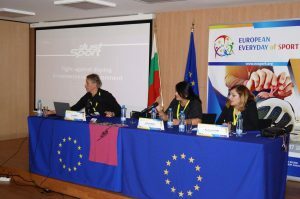 “Women empowerment through sport” (WEtS) is a 24 month Capacity Building in the field of Youth project coordinated by the Bulgarian organization “Champions Factory”, with MVNGO in the role of a partner organization. 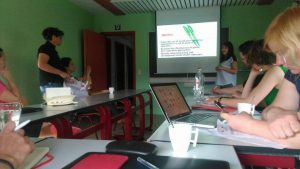 The project involves an international Consortium of 6 organisations from Europe (Bulgaria and Italy), Africa (Kenya and Tanzania) and Asia (Nepal and Cambodia). Gender discrimination and inequality is a well known structural phenomenal of endemic proportion in both Europe and the world. The patriarchal character distinguishing family relations and social structures in the involved countries, combined with a widely diffused conservative mindset on local level, acts as a further driver of social sanction to the phenomena of discrimination, stereotyping and abuse at risk of perpetuating itself through being transmitted to younger generations. The project aims at developing, testing and spreading new educational methodologies for women empowerment through Sport with the aim to enhance the capacity of the partner organisations and beyond. – Through Participation the youth workers will develop knowledge, understanding and basic skills that promote and encourage women empowerment, while understanding the educational benefits of sport and physical activity. 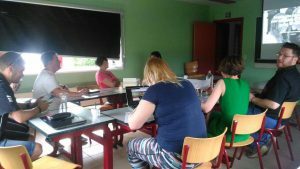 – To create a web-page, handbook with good practices(programs and workshops) and a video, that can be used by both: the partner organisations and all organisations working in the field. Participants: 2 youth workers and youth leaders per partner organization will be hosted by the Cambodian partner. Participants: The Campaign wil be deploye through conferences, events and seminars. The aim is to reach out to at least 80 persons per country. MVNGO is a partner in the context of the Erasmus + Sport Collaborative Partnership “European Everyday of Sport” coordinated by the Bulgarian NGO “BulSport”, with the contribution of an international Consortium of 7 NGOs from 7 European countries (Bulgaria, Italy, Croatia, Hungary, Lithuania , Poland, Slovakia), operating in the fields of Sport, youth and education. The project will have a total duration of 24 months. The project aims to improve the sharing of good practices– a priority of the Erasmus + program- identify and promote good practices from the first and second editions of the European Week of Sport as well as encourage participation in Sport and physical activity. The most specific topic of this strategic partnership will be to develop, identify, promote and share good practices. The current collaborative partnership will carry out various activities at local, national and international levels. It will focus on the collection, development, identification, analysis and sharing of good practices for the promotion of sport and physical activity in Europe and worldwide that can be easily implemented in the work of experts in the aforementioned fields . The project will also focus on the activities implemented in the first and second edition of the “European week of sport” and will collect all the good practices developed in 2015 and 2016 in the member countries. These tools will be very useful in planning the next editions of the EWoS as well as other events to promote physical activity as a means of raising awareness about its health related benefits through laying the grounds for greater participation and equal access, with the ultimate goal of enhancing engagement in Sport for all. All the activities implemented during the project will be functional to the need to reach out with a particular attention to specific groups and to exploit this opportunity to promote a movement transversal to the various categories and aimed at making physical activity and sport parts of life daily life of an increasing number of people in Europe. As noted on previous occasions, the tools to make Europe a “nation in motion” are not yet in the vanguard in terms of effectiveness, as can be deduced from the 2009 and 2014 “Eurobarometer” data. This need is the crucial issue that this Consortium will try to deal with addressing different target groups (children, young people, workers, old people, people living in cities and small villages, etc. ), emphasizing physical activity as “positive medicine” for personal, professional and social development of individuals. “Agro-Tourism Itineraty to Sustainable Change” (ATISC) is an Erasmus Plus Capacity Building Youth project at enhancing Agro-Tourism as a driver of youth employability, social solidarity and environmental sustainability in disadvantaged rural communities in Europe and the Western Balkans by means of strengthening the base of competences and networking of youth NGOs and operators, youngsters and local stakeholders in the field of sustainable Agro-Tourism solutions. 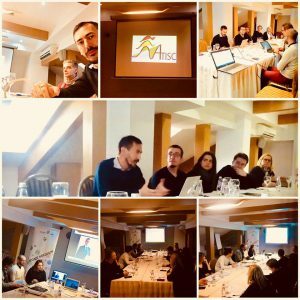 The project is coordinated by the Kosovan organization “Let’s Do It Peja!”, with MVNGO as a partner organization and member of an international Consortium of 6 organizations from Kosovo, Italy, FYROM, Albania, Spain and Serbia. Rural areas in both European and West Balkans are generally characterized by fewer opportunities for young people in socioeconomic terms. Deprivation suffered by rural youngsters is multifaceted and linked to a varied array of structural issues, among which geographical isolation, poor infrastructure and communication, lower levels of economic activity both caused by and connected to a lower level of public/private investment, insufficient infrastructure of counselling and support to business/employability, in particular for young people. The compelling necessity and profitability of an adjustment can nowhere be better observed than in the fast-growing Agro-Tourism industry, wherein the local endowment of local resources and typical products/businesses comes to be declined as the centerpiece of specific tourism products/itineraries embedded in local realities. Recent Agro-Tourism trends show that Agro-Tourism offer and practice need to deeply embed factors of environmental, cultural and economic sustainability in a balanced approach to ensure a benefit to the community, the territory as well as a guarantee of the quality of the offer itself towards customer audiences. 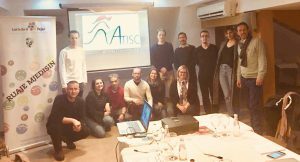 Mine Vaganti NGO coordinates the Collaborative Partnership in the Sport field “Young Ambassadors for Sport and Volunteering” involving an international Consortium of 3 organizazions from Dennmark (TIK Volley), Bulgaria, (BulSport) and Poland (Regional Volunteer Center of Kielce). The project aims at promoting voluntary activities in sport, together with social inclusion, equal opportunities and awareness of the importance of health-enhancing physical activity through increased participation in, and equal access to, sport for all. The involvement of volunteers in sports is a key factor to the success and long term sustainability of sport clubs, organizations and events. Sport organizations and clubs all over Europe play a crucial role in encouraging and engaging people to get physically active. Unfortunately, the level of civic involvement in voluntary activities related to sport is still low. An EU Barometer survey indicates that generally only 7 % of the EU citizens engage in volunteering activities in sport. The project deploys a small collaborative partnership of engaged organization from the 4 angles of EU creating a team of 20 Volunteer Sport Ambassadors, which will operate at the local level, with the support of the organizations “Volunteer Sport Ambassadors” will be trained to raise awareness of healthy lifestyle, promote sport culture and voluntary activities in sport, as well as try to increase participation in volunteering and equal access to sport for all The organizations, through the Volunteer Sport Ambassadors, will carry out various activities in view of awareness about the importance of health-enhancing physical activity through increased participation in, and equal access to, sport for all.